Only for a single expat person! 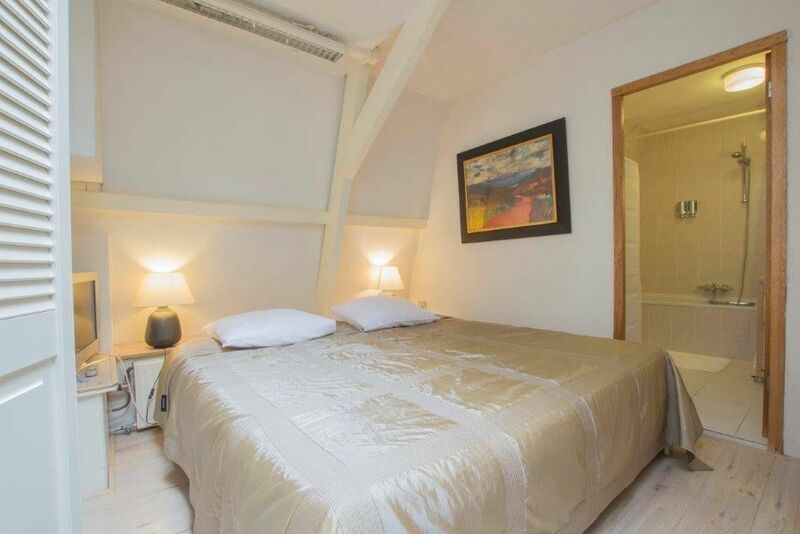 We can offer you this top of the range recently renovated studio-apartment (approx. 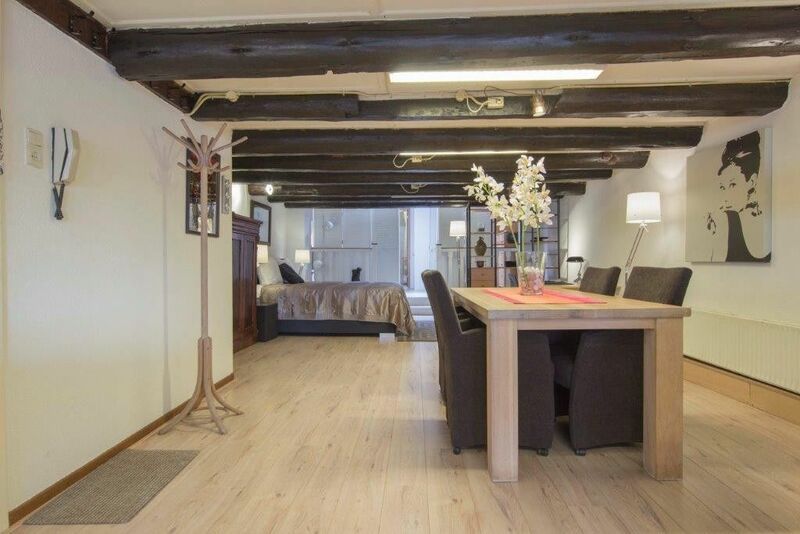 95 m2), located in a very popular area at the rim of -Amsterdam Oud West- (old west) and the centre of -Amsterdam-. In terms of transportation this apartment is very conveniently located to get to the city centre, all major business parks in the region and entrance to ring road -A10-. 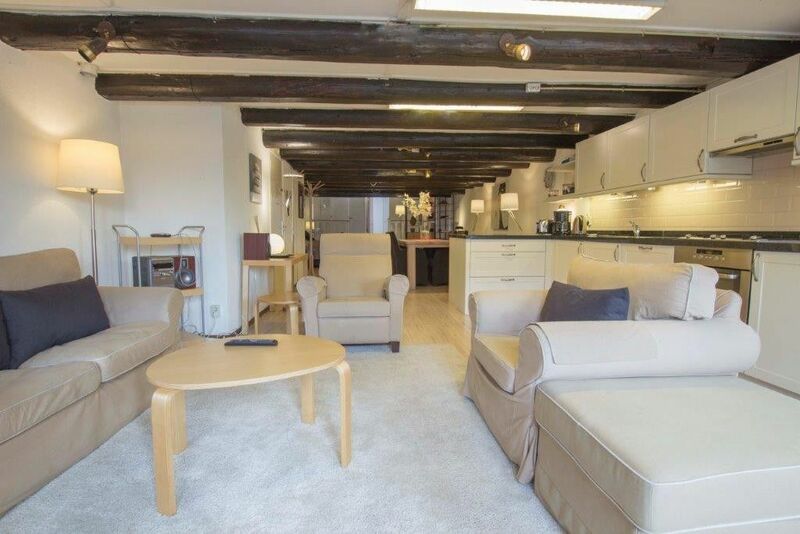 Ideal for expats because it offers the perfect balance of excitement and tranquillity because of its proximity to bars, terraces, a cinema and restaurants. 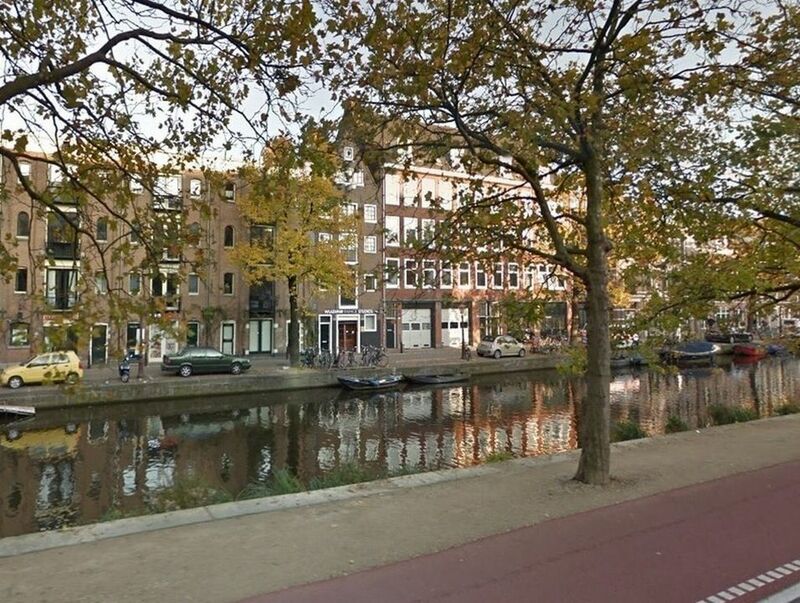 At walking distance you will find the renowned -Jordaan- area, the -Negen Straatjes (9-streets), the Leidseplein (square) and the lovely -Vondelpark-, which offers a wide range of outdoor activities. Around the corner you will find plenty of local high quality shops, boutiques, restaurants and daily grocery shopping possibilities. 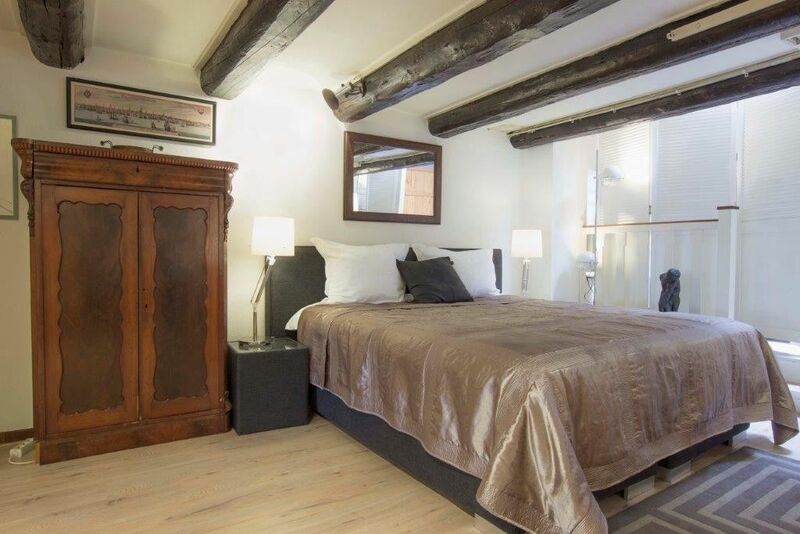 The first time you enter this exclusive (state monument 1703) loft-style apartment you will notice that this is an apartment which has been taken care of. The owner of this apartment has put in a lot of effort to create a stylish and comfortable home. 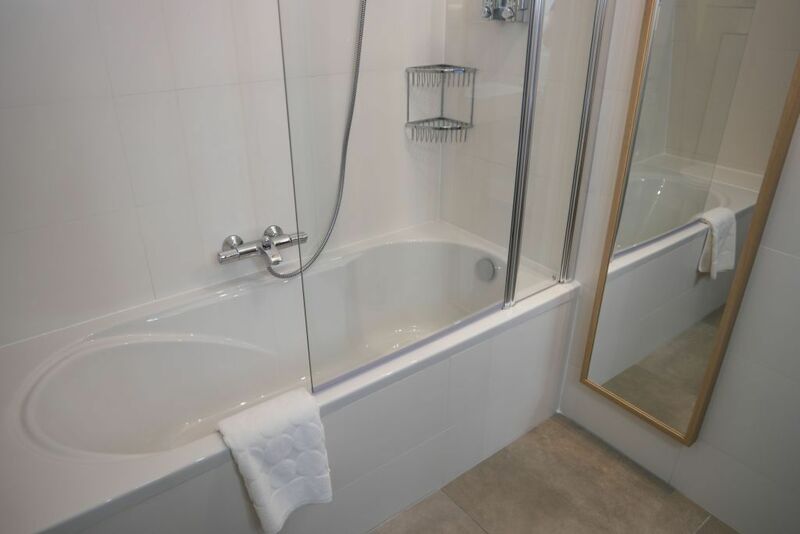 This apartment is delivered with insulating double glazing at all windows and is constructed with good sound insulation and economical energy use. 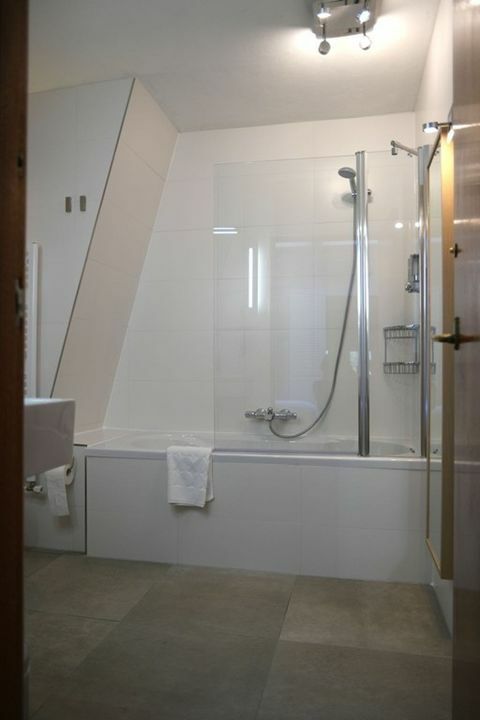 Even though the apartment has been renovated in a modern and contemporary style many of the original details have been preserved. An easy walk-up stairway brings you to the entrance on the 2nd floor. The hallway with cloakroom facilities gives access to a spacious living/dining/kitchen area. The lounge area gives access to a small -French- balcony (facing west). 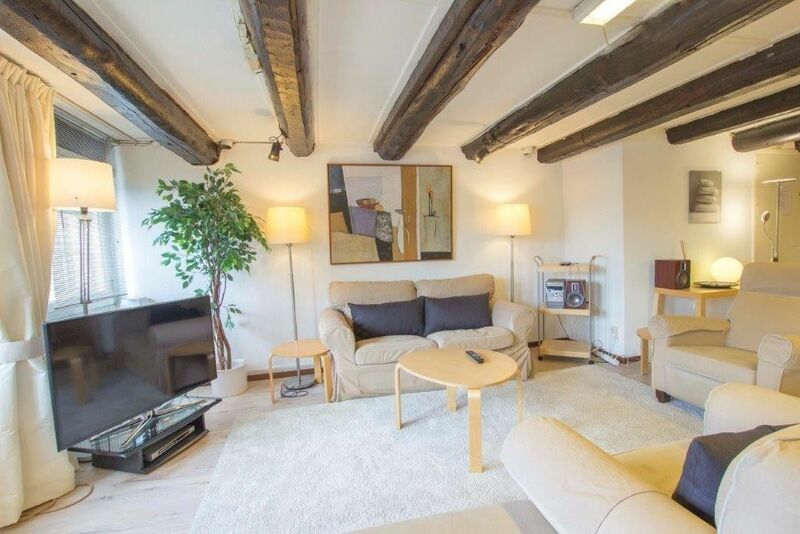 At this entire apartment you will see a fantastic ceiling with the original authentic supporting beams. Throughout the apartment a solid laminate floor has been laid down. 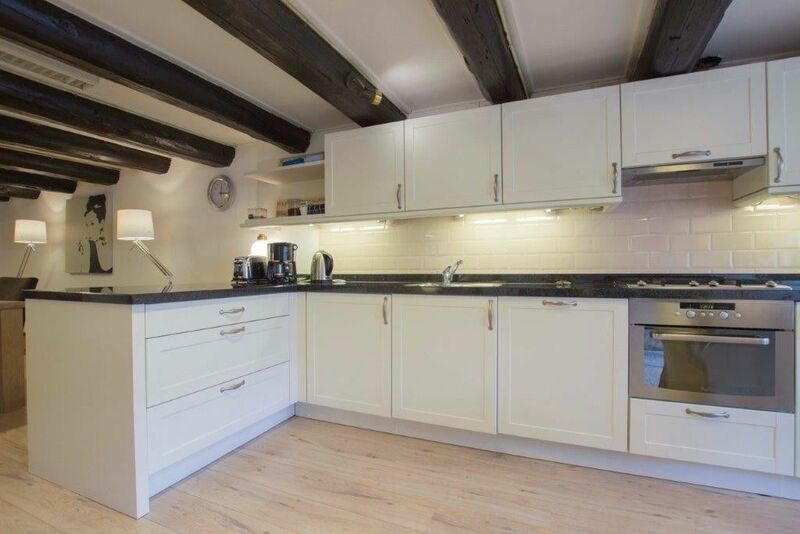 The kitchen is modern and is supplied with a large variety of luxurious appliances. This apartment has a good sized master bedroom. 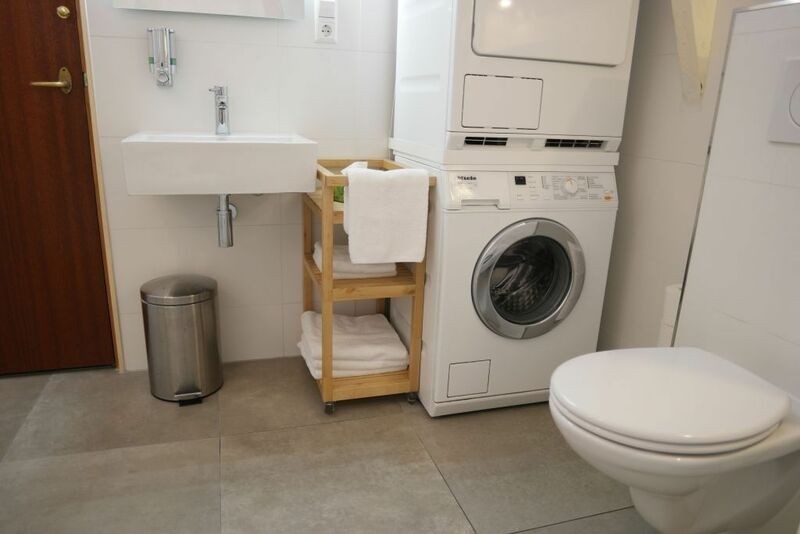 The bathroom has the comfort of a bath-tub, wash basin, toilet, washing machine and dryer. Inside the apartment storage possibilities are available. 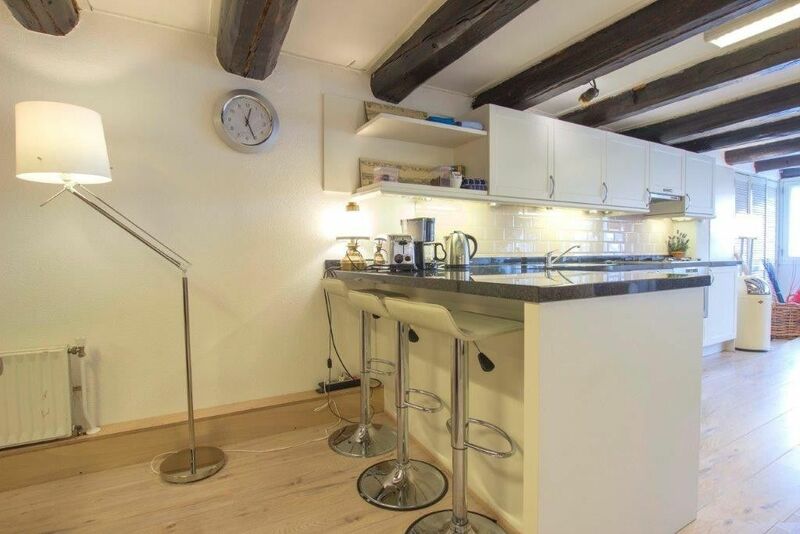 For Amsterdam, this apartment is providing you the convenience of a modern home in a historical building. For an extra price a month it is possible to park your car at the -Q-park Europarking- garage across the street. 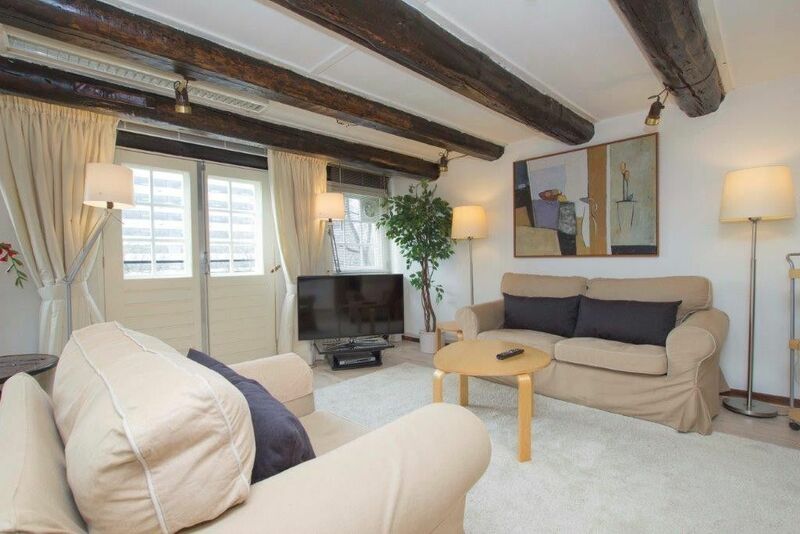 This apartment can be perfectly used for transfers coming to -Amsterdam-. Of course it would be very suitable for a couple too (stores are at walking distance). All-in-all a unique opportunity to get a taste of -Amsterdam-, living in a great part of town with everything you need either at home or only a short walk away. The residents can truly relax and unwind at the end of a long working day. On top of the rental price comes an advance payment of 150 per month Gas/Electricity/Water/TV/Internet.